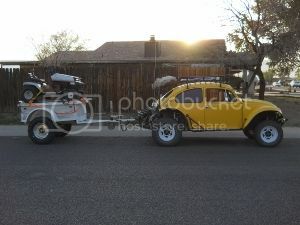 We have a 67 Baja Bug and we are chasing down some simple oil leeks. Going to replace the valve cover gaskets and while in there check the valve tolerance. Also noticed one of the pushrod tubes has some damage looking to put in a spring tube. You have a few in your area, Dons Bus Box is probably closest to you. He is at 96th and Peoria. He carries engine parts too. Thank you for the info I will contact them tomorrow. If you have another name or two please pass along thanks again. Don's Bus Box is awesome very knowledgeable they work engines and transmissions, very nice guys. They also stock some parts and had my valve cover gaskets, pushrod tubes and sump screen kit.